The Digital PR course aims to teach those wanting to get into a career in public relations or those who have small businesses how to market their businesses through PR. How to evaluate public relations activities and events. The DSM Digital PR course aims to address how to meet both an organisation’s and target market’s needs, weaving in the fundamentals of traditional PR into a digital world. The art and science of engaging with media on all different digital channels, enabling one to spread a brand’s message through strategic communications, is also covered. The course holds accreditation from both MICT SETA and is endorsed by the IAB. 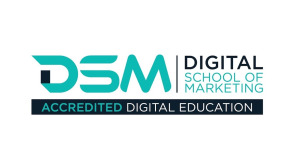 For more information, visit www.digitalschoolofmarketing.co.za. You can also follow the Digital School of Marketing on Facebook or on Twitter.